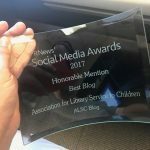 My first post back in July was about how to get tablets for your library. Now I present to you the basic set-up and results of our new service from the glorious benefits to those pesky pitfalls. Once our proposal was approved, we got the ball rolling with (1) publicity, (2) setting up security restrictions, and (3) downloading apps onto the iPad. We approached publicity in a variety of ways. First, we set up teaser signs at the Apple Stand to promote the up-and-coming devices. We then printed out our Apple Stand rules just to give people an idea about how to interact with the iPads (these would then stay up when the iPads were available). We sent a press release out to the newspapers and we put an alert in our newsletter. Are you ready to get your iPads ready for public use? Set restrictions (Settings–>General–>Restrictions) to secure iPads from wandering fingers. Although patrons can still access your settings menu, there can be no permanent damage done, such as accessing your account, purchasing apps, or setting up an email. So we had chosen our list of apps and now I needed to get them onto all 5 devices. From my first time buying apps (and a few revisions later) I created a detailed record of the steps I took (document found on my personal blog). I did this because I would be sharing the responsibility of purchasing apps with 2 other team members. So we finally made it! All our apps were bought! All our settings were set to maximal! The mounts were newly gleaming and ready! But would people actually like them as much as we hoped? 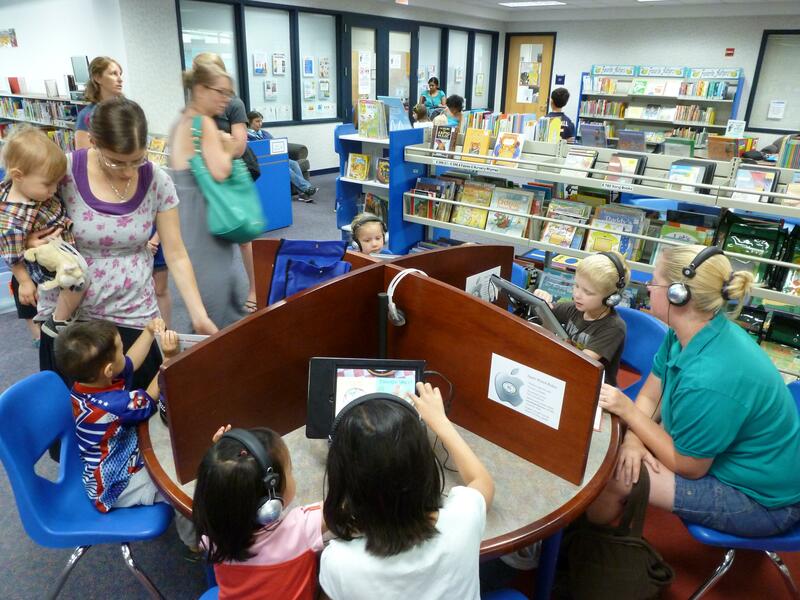 Would parents sit with their children and be engaging with their children and the iPads? At my library, patrons were quite appreciative of the new activity to do in the library. We have three mounted in the Early Ed room and two behind the desk for in-house use only. The mounted ones are definitely the way to go. Our iPads behind the desk have only checked out 6 and 7 times since August 1, but the mounted tablets are used all the time, oftentimes having all three in use. Sometimes the child might be completely unattended in the library and she finds a fun toy to play with while her caregiver is off in never never land. It is explained to the caregiver that they need to be with their 7 and under child at all times while in the library (a long established rule). 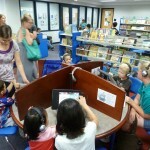 They must also sit with their child while at the iPads because the devices are expensive, they could unintentionally alter the settings, and we encourage parent-child interaction. Other times, the child may be old and responsible enough to use the iPad alone while his caregiver is looking for books in the same room or doing a puzzle with the younger sibling. So far, we have had no problems with children mishandling the iPads. They are typically entranced and respectful of the technology. Also, the way the devices are mounted discourages shaking and dropping (because you have to reach to touch it and it is not in your lap and you don’t have to hold it up). Unfortunately, for the times a child plays with the tablet by herself (while the adult is nearby), this does ignore the purpose of the iPads as educational tools to be shared between child and adult. We encourage shared time when we can but we are not a police force and choose to pick our battles. So, what will you have to do to maintain this service? Your monthly duties will include (1) buy your apps, and (2) update iPads with current iOs software (about quarterly). An overview of your weekly duties include: (1) clean screens with alcohol/water mix, (2) manually close all apps, (3) delete all pictures and reset background & lock screens to default picture, and (4) ensure that all apps are in their folders. It’s honestly not too bad once you set it up. My biggest piece of advice is staying organized and keeping detailed instruction sheets. Keep at it, I belieeeeeve in you! Please ask me about any of the particulars and you can find more details and documentation on my personal blog at www.librarybonanza.wordpress.com. 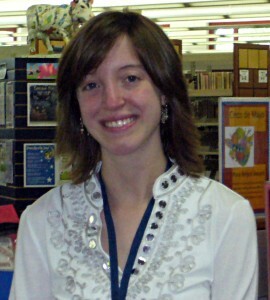 Kelsey Cole is a youth services librarian at the Fremont Public Library in Mundelein, IL. 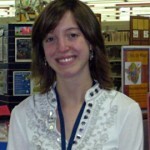 For more details on this process, visit her personal blog at www.librarybonanza.wordpress.com for more than you can imagine. Meet Art: Creative hands-on art programs. *sigh* We had mostly kids and teens using our iPads and encountered kids changing whatever settings they could find (like reversing the colors, which just confused us for a while) and someone used a pen or pencil to gouge the screens. When the one in better shape was deemed good enough to go out again, someone stole the charging wire. Not a very hopeful experience. Our experience has been wonderful with this service and patrons continue to request the Early Literacy kits – we currently have over 30 holds! As far as the mounted iPad, trial and error we have found the settings that work best for our patrons and the location. The lock stand that we use does not allow for the Settings to be changed by patrons. We choose one featured app per day to keep it simple. App lists are also displayed for parents/caregivers to grab on their way out. Screen covers would also work to prevent any unwanted inking. We also have two iPads mounted and locked in our department. Both are loaded with early literacy apps and one app is featured daily. They have been so well received by our customers and practically problem free for staff to maintain. We are planning on purchasing several more and circulating them. 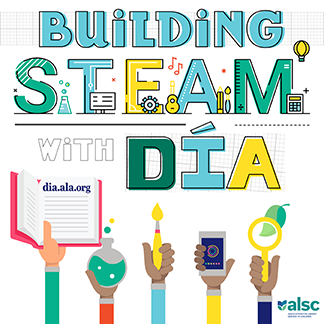 My hope is that we will be able to have a few that are dedicated to the early elementary school age group and have some great science and math apps loaded on them.